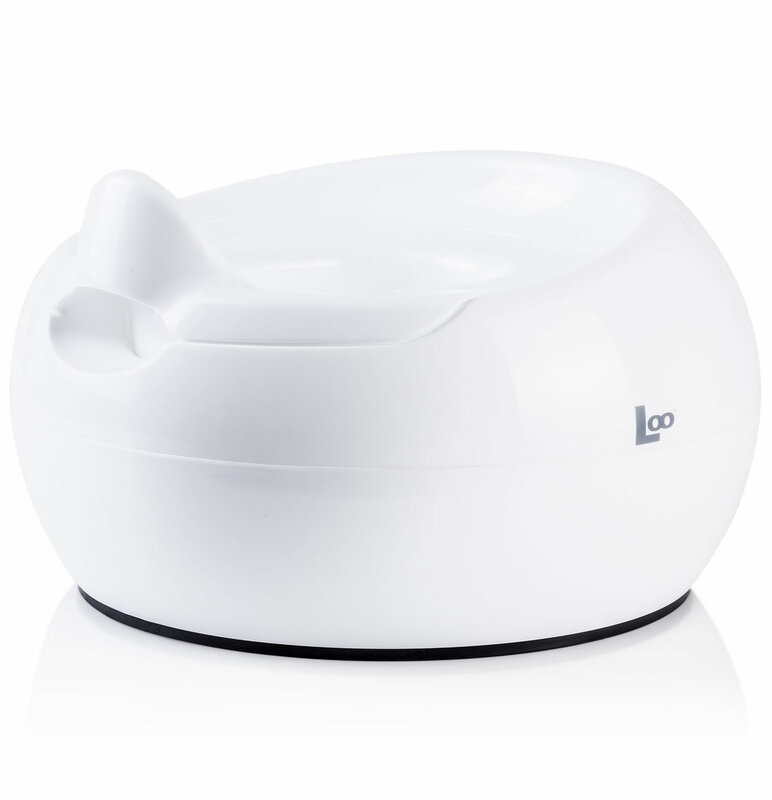 The Loos bright white color and ultra-smooth finish ensures clean-up is a snap. Its non-slip base offers stability during use and the integrated splash shield prevents spills. 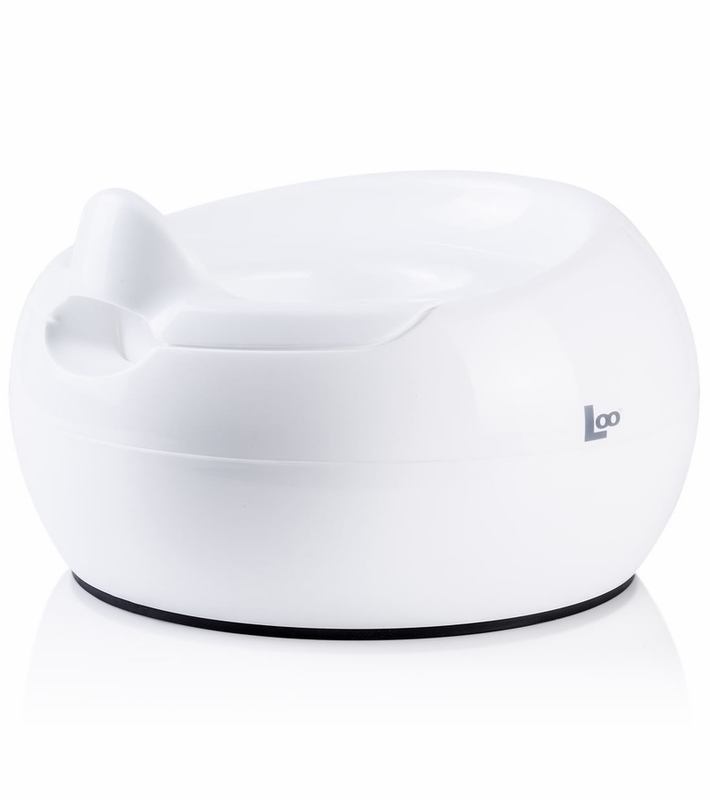 The large capacity bowl has plenty of fill space and is easy to lift out and empty with our no-touch grab handle. Our solid construction can handle kids of all sizes and is rated to exceed 60 lbs. 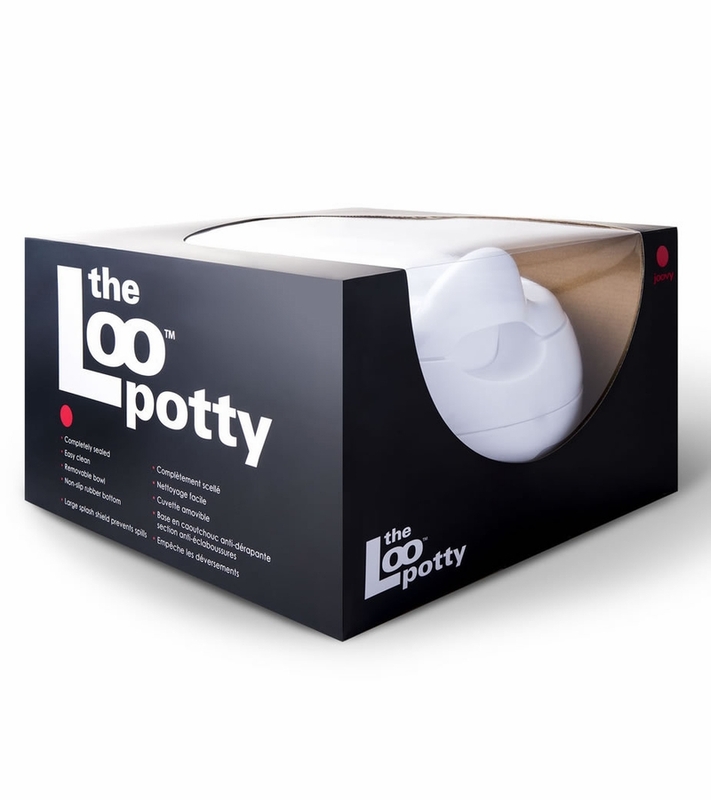 We tried a couple of potty chairs when it was time to start potty training. This is the one our little preferred and would always ask to use. I think the shape of it made it more comfortable for him. For me, it was a breeze to clean. The bowl is easily removed and rinsed and the rest can be wiped down with no cracks or crevices for anything to hide. This is her fave, whats good about it? Only my baby can tell.. i think every training potty is trial n error.. but we got it in one note! Id recommend! Oh and plus great price tho shipment is a bit slow. My son is a bit early for potty training but he loves the Loo. He likes taking it a part, putting it back together (it's just one insert for easy cleaning)...he seems proud of it! It's very well made and a breeze to clean. It has a higher lip which is very helpful for boys. Highly recommend. ProsHi lip makes it a big win for boys, but would be equally great for girls. More spray control! Easy to clean. Lightweight, well made.